There are times when people need help mediating a disagreement, settling an argument, or seeking compensation for an injustice. You need a lawyer who listens carefully to your concerns, works with you to plan a winning strategy, develops creative solutions, and fights hard on your behalf. Won landmark case in the Middlesex Probate Court creating standard for performing DNA testing on a deceased parent. 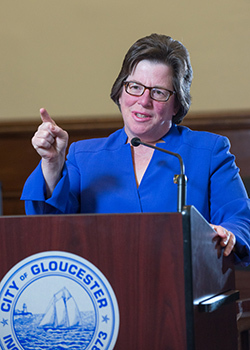 Negotiated an agreement among a non-profit organization, a neighbor, and the City of Gloucester that allowed the sale of a property to the non-profit. Represent estate in probate dispute currently at the Appeals Court that was featured on the front page of Lawyers Weekly. Won jury trial in the Newburyport Superior Court related to a breach of contract by a company’s finance manager. Attorney Fine often represents homeowners and business owners before city and town boards.